I practically squealed! 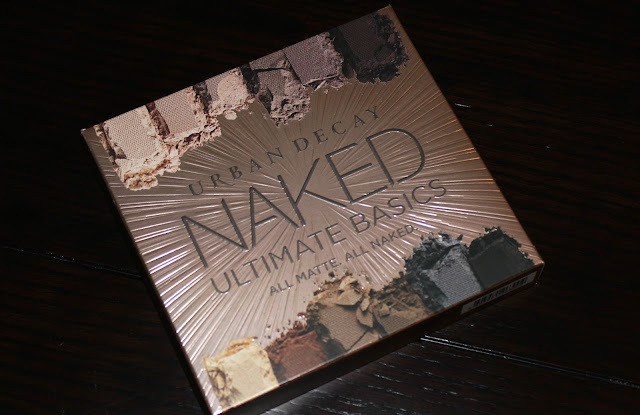 As much as I love a gorgeous metallic or a bold shade really do love a good matte. 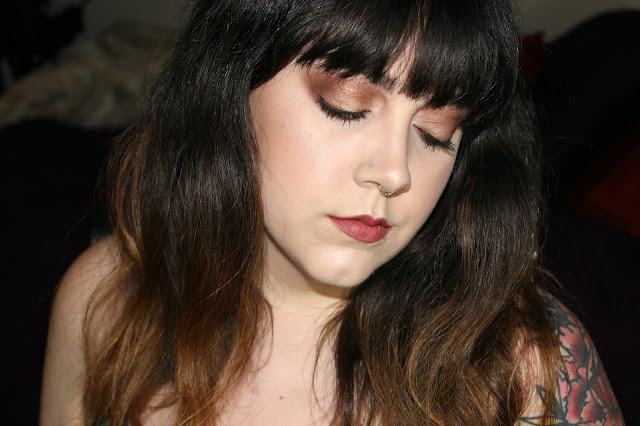 There is something very versatile about them from a fresh faced, no makeup look to a smokey eye, and well, let’s be honest…I love some grunge makeup and this palette is just asking to be used for a messy look circa 1993. First off…the packaging. OMG, so pretty! 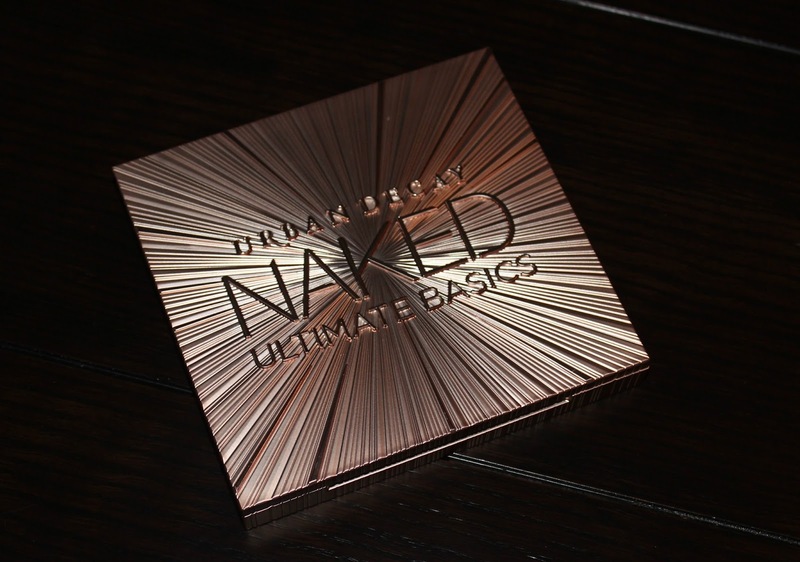 The rose gold packaging reminds me of the Naked 3 palette, however it isn’t actually metal, so it’s lighter, but does not feel quite as sturdy. 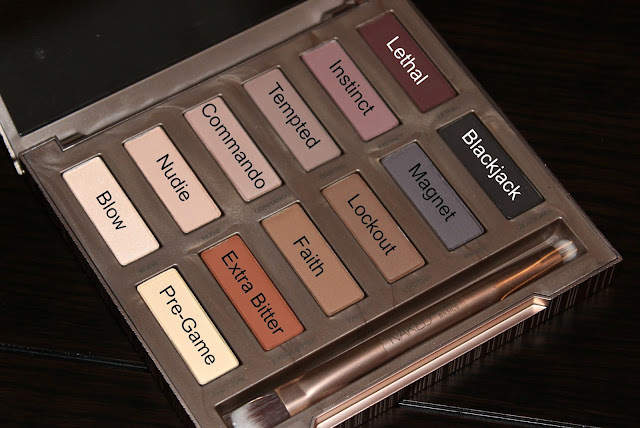 The palette features 11 mattes and 1 demi-matte shade, along with a mini dual ended brush with a blending end and a smudger end. All 12 shades are 100% unique to the palette and work on all skin tones according to Urban Decay and by the looks of it I think I’d agree. I can’t wait to create some looks using this palette and share them with you! 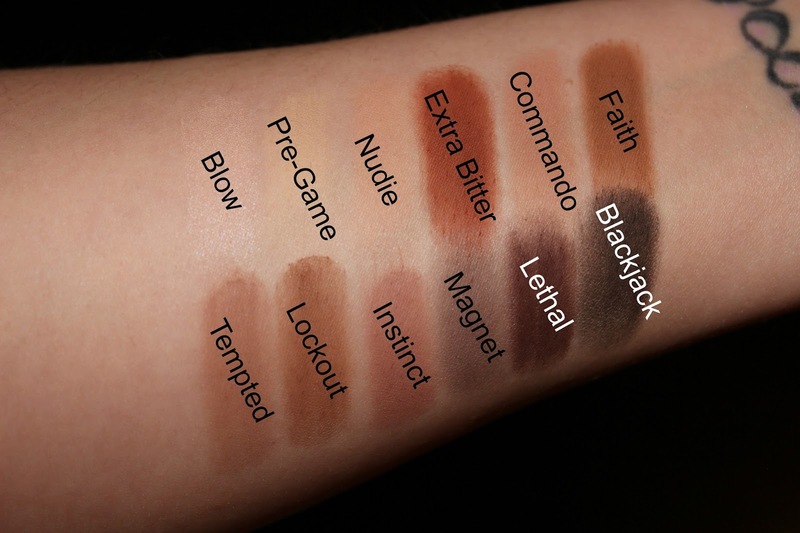 My first impressions of the palette are that most of the shades seem pretty consistent and very smooth to touch the only shade I am honestly not sure about is Blackjack. I know that black is one of the hardest shades to perfect, so we’ll see how it preforms on the eyes. I’m very excited to try out the shades Extra Bitter, Lethal, and Magnet, which if you are a long time reading probably comes as no shock to you. I’m glad UD has added a demi-matte to this palette so that there is a shade to highlight the inner corner of the eye with. This palette seems like it would be great to travel with and could be helpful just to have on hand as there are plenty of tones to do many different looks. come back here with a full review and tutorial! What kind of look would you like to see with this palette? Tell me in the comments!